When Was Your Last Chimney Cleaning ? •You could be throwing money out your chimney without even knowing it! Contact us to schedule your next chimney cleaning! Royal Chimney Sweeps strives to keep our clients safe & cozy through the chilly nights. We provide chimney sweeps, installation of chimney caps, spark arrestors, top and bottom dampers, crowns, fireplace screen replacement, glass doors, fire logs, inspections, chimney repairs, flashings, smoke shields, heat shields. We also clean dryer vents. At Royal Chimney Sweeps, we are very motivated to ensure the best for our clients. Our sweeps are very knowledgeable, professional and courteous. We like to make sure that our customers are very happy with our services, and informed of any problems regarding their fireplace and chimney before we leave their house. Royal Chimney Sweeps are here to provide you with quality and professional chimney cleaning for a great price. We make sure that your chimney is clean and in proper and safe working condition. Royal Chimney Sweeps is a full time chimney service. We educate our clients as to the importance of having to maintain their chimney. Having your chimney cleaned once every 1 to 3 years is very important, and also when you move into a new house. Creosote build up in your chimney can cause a chimney fire and ultimately the fire can transfer to your house. Creosote build up in your chimney can make your chimney much less efficient, and affect the air quality in your home. Our chimney sweeps will send a brush into the walls of the flue, scraping all the soot and creosote off the flue. The damper, smoke shelf and hearth will be cleaned of any deposits. Our trained chimney sweeps will ensure that all your questions are answered. Keeping your chimney clean of various composites will assure your chimney operates efficiently, and ultimately save you money. The soot and creosote deposits are scraped off the walls of the flue and the smoke chamber with brushes attached to flexible poles. The damper, smoke shelf, and hearth are cleaned of any debris. Our methods insure that there is no mess in your home, in fact we guarantee it. The cleaning may take up to an hour, and should be done every one to three years depending on use, or when you move into a new home. Whether you have a masonry chimney or a pre-fab chimney, a Chimney Cap is crucial to have installed on your chimney. It serves many purposes, one of which is to prevent water entering the flue and over a period of time leading to damage and odor. Water is the #1 problem in a chimney, in which it eats away at the mortar and weakens the structure. Chimney caps also stop mold from growing in your chimney and fireplace. Your chimney and the area around it are prime areas for water infiltration. In addition, Chimney caps keep water, debris, animals, (such as raccoons and pigeons from nesting and entering your home, wind blowing into the chimney while in use (creating a downdraft), and also works as a spark arrester. WATER DAMAGE IS THE #1 PROBLEM IN A CHIMNEY. YOUR CHIMNEY AND THE AREA AROUND IT ARE PRIME AREAS FOR WATER INFILTRATION. A damper is one of the ways to save a homeowner as much as 30% in heating and air conditioning costs. Top dampers are used more frequently, as they provide better seal of the flue which will ultimately lead to more savings. The universal damper kit fits inside the universal chimney cap to make a cap damper. The damper can be shut to seal the chimney because of its adjustable HI-TEMP fiberglass gasket, the installer can fit most chimney flues. Anything the universal cap will fit so will the damper. You could be losing $350.00 or more out of your chimney without even knowing it. 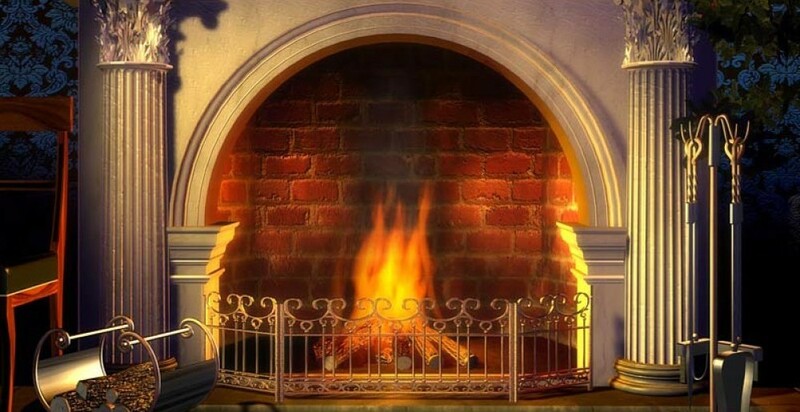 Huge heat loss occurs when a chimney damper is not sealed properly or is missing or broken. You can’t see it, the heat just goes out of the house. If your chimney’s damper is not sealing properly, it is like leaving the front door open in the middle of winter. © 2019 www.Royal Chimney Sweeps.com | All rights reserved.